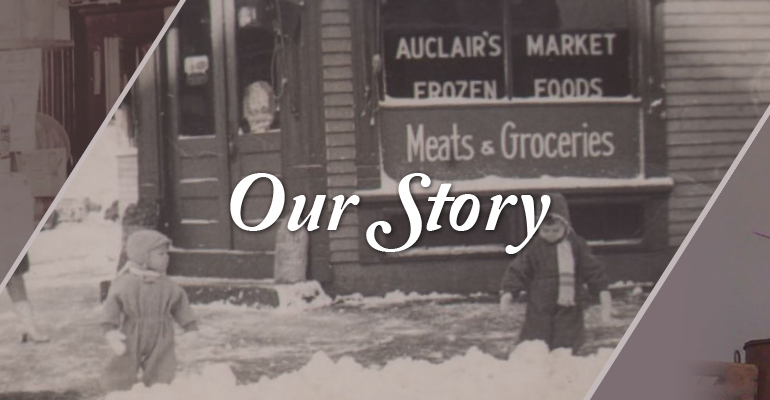 Auclair’s has come a long way since the time refrigeration was a block of ice. Moving into the future, Denis and Dorothy’s son, Matthew, has plans to carry on the Auclair’s tradition. Closing in on one hundred years, Auclair’s has been blessed with an incredible legacy and many fine employees. Auclair’s was founded in 1918, by Francois Auclair. Francois, who along with his young family, emigrated from Canada in the early 1900s. Determined to own and operate his own business, Francois worked in the Fall River mills, saved his wages, and bought a local grocery market. This local grocery market, located at 64 Brightman Street in Fall River’s north end would become Auclair’s Market. Francois, along with his cousin and sons, worked in this store and established a reputation for exceptional customer service and fresh quality meat. In 1945, Francois’ son, Fernand, along with his wife, Joanne, bought the market. Being a young man with ability, good business sense, and a strong work ethic, Fernand operated Auclair’s for over forty years. In 1968, the location at 64 Brightman Street was taken by eminent domain and demolished to make way for the Route 79 Highway, so Fernand took a large leap and moved his business to 172 County Street in Somerset. 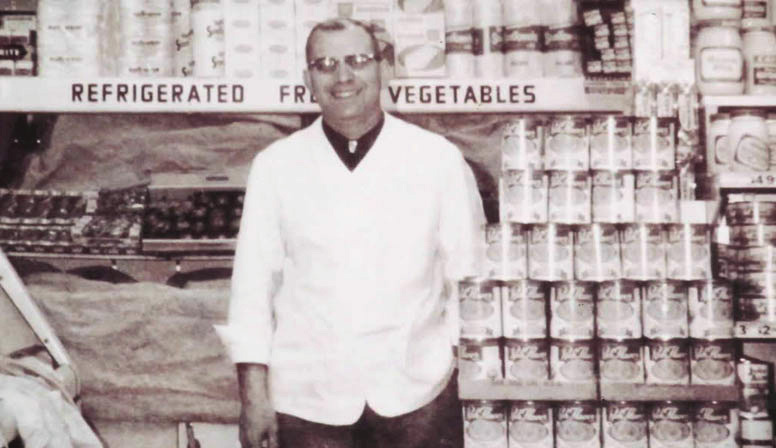 Fernand was always quick to be innovative and progressive during his 40 years as an owner-operator, and took this opportunity to build a modern, state of the art grocery store. In the face of stiff competition, Fernand held his ground, stuck to his business philosophy of service and quality and prospered. In 1976, Fernand’s son Denis joined the family business and quickly found himself in the meat department, learning the trade of his grandfather and father from some of the finest meat cutters around. In 1985, Denis and his wife Dorothy purchased the business from his parents. In 1999, Denis and Dorothy decided that in order for Auclair’s to move forward into the next century, they would need to expand and relocate. A vacant lot across the street proved to be a viable site, so in October of 2000 Denis and Dorothy built their new and expanded facility at 145 County Street in Somerset.